This thesis contributes to the understanding of how banks shift their supply of credit when confronted with uncertainty, regulatory supervision and macroprudential policies. The first chapter proposes a new index to detect the idiosyncratic uncertainty banks face at the bank-quarter level. I use machine learning and natural language processing on speeches made by bank management during quarterly earnings conference calls to develop the new measure. I find that higher uncertainty is associated with lower lending the next quarter and higher liquidity, suggesting active management of uncertainty. The second chapter explores how banks respond to supervision by window-dressing their balance sheets. In preparation for Europe’s 2014 Asset Quality Review (AQR), reviewed banks decreased their share of riskier securities and loans. After the AQR, banks reloaded riskier securities onto their balance sheets, but not riskier credit. In the third chapter, I study how the introduction of capital controls in Colombia affected domestic credit. The results point to complementarities in credit supply between domestic and foreign credit. This dissertation comprises three chapters on banking system liquidity. The first chapter models various policies for injecting liquidity into banks during a cri-sis. Liquidity injections through secured lending, relative to unsecured lending or bank-debt guarantees, can better disincentivise liquidity risk taking while also mitigating ex-post capital losses, in part by limiting fire selling of securities. Asset purchases cannot credibly disincentivise liquidity risk taking. The second chapter uses Australian loan-level data to compare secured and unsecured interbank lend-ing markets during the crisis. We find that the secured (i.e. repo) market expands to absorb heightened liquidity demand, and risky borrowers substitute into the repo market if they hold sufficient collateral. Scarcity of the highest-quality collateral pushes the repo market expansion into the next-best collateral, but risky borrowers are less capable of accessing this market. The third chapter presents and analyses an algorithm for extracting loan-level repo data from securities transactions data, to facilitate further research on repo markets. This thesis focuses on the issue of bank funding structure and its implications for ﬁnancial instability. The ﬁrst chapter investigates how the dynamic interaction between the regulator and banks can endogenously lead to ﬁnancial instability and generate boom-bust cycles. The model is able to capture pro-cyclical bank leverage, asymmetric credit cycles, and the Minsky moment in a uniﬁed framework. The second chapter provides a simple theoretical model to understand bank asset encumbrance and its implications for ﬁnancial stability. I show that the effect of encumbrance depends on rates of over-collateralization faced by the banks, and I also demonstrate empirical evidence consistent with the predictions of the model. The third chapter revisits a classical issue in the banking literature: would loan sales undermine banks’ special role of information production? I highlight the role of banks’ insolvency risk and ﬁnd that loan sales may improve, rather than weaken, banks’ screening incentives. In this thesis I analyze 3 current empirical questions of interest in macroeconomics. The first concerns the effect of competition on cash holdings. The large increase in cash held by US firms has increased interest in competition as a possible driver, with contradictory results in the literature. I show that low profitability firms increase cash as a response to competition, whereas high profitability firms do the reverse. Afterwards, I focus on the effects of financial structure on productivity. An interesting empirical pattern is uncovered: a firm’s own debt does not harm its own productivity, but aggregate debt does. The negative relationship is shown to work through a real estate valuation channel. Finally, I uncover short-lived pro-cyclical spikes of adjusted aggregate productivity precisely timed at the beginning and end of recessions. I show that they are likely to be associated with demand-side movements, rather than technology shocks. This dissertation consists of two chapters that explore some of the financial stability issues that concern mutual funds. The first chapter demonstrates that the massive sale by US funds of Mexican equity in 2008 triggered the underpricing of US-fund-held Mexican stocks. Mexican funds that also owned these stocks joined the US funds in selling, while those that did not bought them. Ultimately, I find that the Mexican fund purchases counterbalanced the price pressure from US funds, while the sales exacerbated stock mispricing. In the second chapter, I present a novel mechanism by which fund managers can have risk-taking incentives when monetary policy is loose. I develop a model of portfolio allocation with costly information and show that poor fund returns are penalized less by investor outflows when the risk-free rate is lower. I likewise establish that this effect is more pronounced for funds with higher information costs. Using the Federal funds rate as the riskless rate and fund age as a proxy for information costs, I provide empirical support for these predictions. 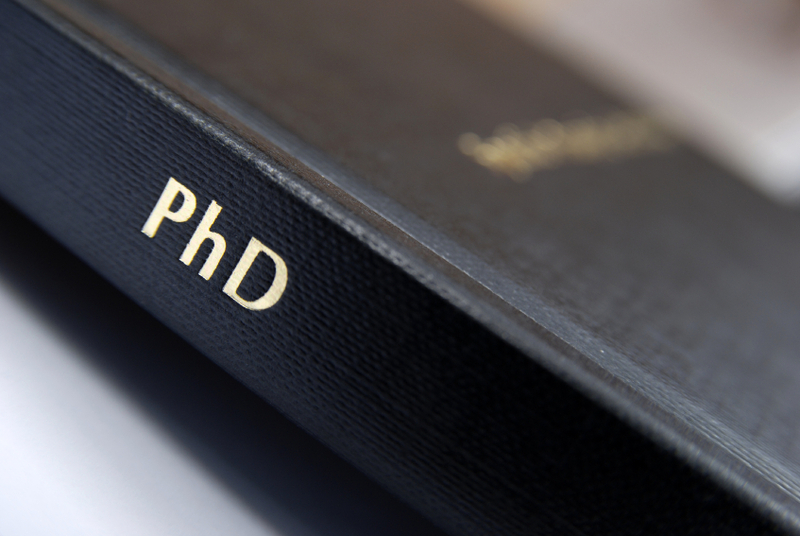 This thesis consists of three chapters contributing to the broad field of financial economics. In the first chapter, I develop a theoretical model of bank bail-ins in order to analyze the effects of the implementation of such resolution mechanism on banks’ behavior and on their financing capacity. The results from the model show that introducing bail-ins may have undesirable consequences in terms of social welfare when financial markets are characterized by moral hazard. Chapter 2 is devoted to an empirical investigation of the effects of informationless capital flows - coming from monthly rebalancings in the largest local-currency governmentdebt index for emerging countries - on the price and liquidity of sovereign bonds. I find capital flows to increase the returns on government bonds as well as their liquidity. Also, they spill over to the exchange rate market, with larger inflows prompting larger currency appreciations. Finally, the third and last chapter of this work contains an essay on financial literacy and asset evaluation. By designing and running a laboratory experiment, I find that increasing financial literacy - even with a short training - can substantially increase the value agents assign to a risky financial asset. This evidence is consistent with the results from a simple model of asset evaluation in presence of ambiguity averse agents. In the first two chapters of this thesis, I study the effects of financial stability policies on bank behavior. Thus, in the first chapter, I analyze whether liquidity provision mechanisms may have unintended redistributive consequences for the credit markets. I show that by accepting certain assets as collateral, the central bank can significantly alter bank competition and, therefore, prices in the primary markets of asset. The second chapter analyzes the efficacy of a central bank policy of hedger of last resort. It demonstrates that by absorbing on its balance sheet part of the FX risks, the central bank can affect funding costs of the domestic credit institutions and, by doing so, support bank loan supply. The last chapter presents evidence on the importance of asset encumbrance for credit risks of banks. It documents that while in normal circumstances encumbrance is associated with smaller credit risk premiums, it can be heavily priced in for financially-troubled banks. This thesis investigates various aspects of systemic risk in nancial networks. Chapter 1 explores the existence of a contagion channel to security returns given that banks are connected via overlapping portfolios. Making use of a proprietary dataset on securities held by German banks, I identify the network induced through cross holdings and nd higher correlations among the returns on securities held by connected banks. This contagion channel to security returns is stronger for banks which are large, highly leveraged and highly interconnected and especially at work during the recent nancial crisis. Chapter 2 establishes a model for bank credit risk interconnectedness based on CDS data, in which defaults can be triggered by systematic global and country shocks as well as idiosyncratic bank-speci c shocks. Applying the framework to a sample of large European nancial institutions reveals that the credit risk network captures a substantial amount of dependence in addition to what is explained by systematic factors. Chapter 3 analyzes the relation between market-based bank credit risk interconnectedness and the associated balance sheet linkages via funding and securities holdings. Results suggest that market-based measures of interdependence can serve well as risk monitoring tools in the absence of disaggregated high-frequency bank fundamental data. Based on high-frequency price data, this thesis focuses on estimating the realized covariance and the integrated volatility of asset prices, and applying volatility estimation to price jump detection. The first chapter uses the LASSO procedure to regularize some estimators of high dimensional realized covariance matrices. We establish theoretical properties of the regularized estimators that show its estimation precision and the probability that they correctly reveal the network structure of the assets. The second chapter proposes a novel estimator of the integrated volatility which is the quadratic variation of the continuous part in the price process. This estimator is obtained by truncating the two-scales realized variance estimator. We show its consistency in the presence of market microstructure noise and finite or infinite activity jumps in the price process. The third chapter employs this estimator to design a test to explore the existence of price jumps with noisy price data. This thesis consists of three chapters on topics in macroeconomics and finance. In the first chapter, I use texts from corporate filings of US companies to investigate if liquidity shortages that occurred during the late-2000 financial crisis were different from cases that occur during more normal times. In the second chapter, I quantify narrative evidence from corporate filings to construct a novel dataset on the price-setting behavior of companies. I then use this dataset to investigate what factors cause firms to change the prices of their products or prevent them from doing so. In the third chapter, I use a number of high-frequency financial market estimates to identify the monetary policy shock in a non-recursive Factor Augmented Vector Autoregression of monthly frequency. This dissertation studies how debt structure and risk management decisions affect firms' investment. The first chapter focuses on building the stylized facts on the relation between debt structure, capital structure and investment when firms' have both, secured and unsecured debt available. Results suggests that i) firms with higher creditworthiness tend to borrow more unsecured debt, ii) higher collateral availability may not lead to more investment and iii) more reliance on unsecured debt leads to more investment. The second chapter uses two identification strategies to test the causal effect of the relations derived in chapter one. I test the hypothesis from a balance sheet and credit channel perspective. Results show that the composition of debt structure of firms has real implications. The higher the unsecured debt in debt structure, the more firms can invest. The explanation for this result is that unsecured debt is more cost-effect in terms of spreads and debt covenants. Finally, the last chapter uses a panel of shocks to the cost of hedging to different firms at different points in time to study the relation between hedging and risk. I exploit the introduction and delisting of commodity derivatives by the CME and other exchanges for identification. I find evidence suggesting that cheaper access to hedging instruments reduces the volatility of cashflows and thus, increases firms' investment. The first chapter, I examine both theoretically and empirically how income uncertainty affects the effectiveness of monetary policy. I consider income risk from potential unemployment, and find that monetary policy has a smaller influence on aggregate demand when unemployment risk is high. I build on the fact that saving arising from a precautionary motive has a smaller interest elasticity. As a consequence, aggregate demand reacts less to the interest rate when uncertainty is high. The second chapter links the build-up of financial risk that led to the recent financial crisis to the preceding period of exceptionally low macroeconomic volatility. The degree of stability that a country has enjoyed before 2007 predicts robustly how much it suffered from the crisis, a result that also holds for individual firms. In the final chapter, I connect this period of low volatility to the conduct of monetary policy. Building on a stylized model, I show empirically that monetary policy may have been `too successful' in stabilizing inflation, as this has contributed to excessive financial risk taking.